Talking Standee Retro, the best fit for Retail Marketing! This is the only OOH way available with both the visual and audio message (dual sense). Since your brand is connecting through visual and auditory sense, the brand or product recollection is very high. 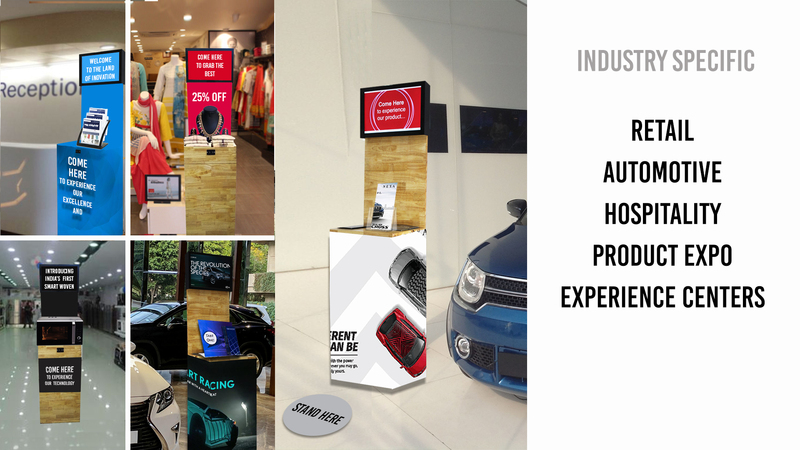 TalkingStandee Pod can pass on the value propositions of your product/services, in a way that they will be equipped with more clarity and that drives them towards decision making. This small edge leads to more conversions of Sales, indeed this has been proven in the market as well. 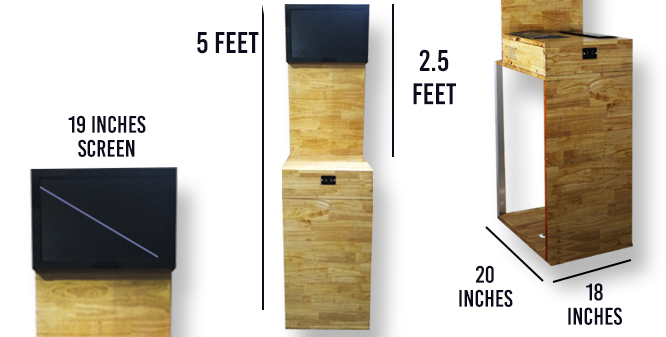 We have looked at perfecting the ease of installing TalkingStandee Pod which is one of the most powerful OOH way of communicating. Carrying and installing has been made so easy such that you will have to just fasten a few screws, that's it! This whole new look of TalkingStandee will enhance the visibility of your brand or product even from a distance. Beside interactions, it serves your existing requirement of other standees or information pods.